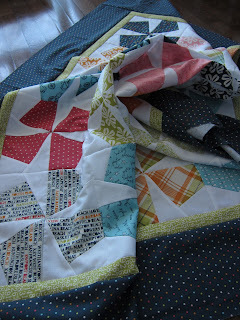 I haven't put much time in on the sewing machine these past two weeks. Finally this weekend, I had a few minutes to put pen to paper (more accurately needle to fabric) and ended up with a finished quilt top. 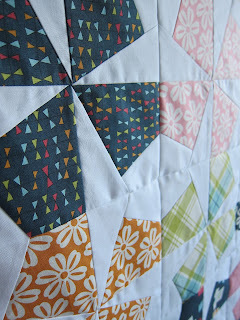 I'm still shocked at how well some of the seams lined up on this project. 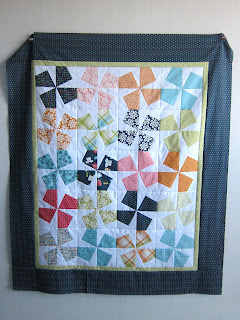 With eight different bias seams in each block, I thought for sure this would turn into a hot mess. This was especially true after finishing the first round of small blocks and seeing that almost none of them were actually square. Somehow the seams ended up being almost perfect. I really struggled with fabric choices for this project. I wanted to use a layer cake but had a hard time finding a collection that was whimsical but not cutesy and that had lots of variation in both colour and print. Sweetwater's Lucy's Crab Shack line ended up being a perfect fit. 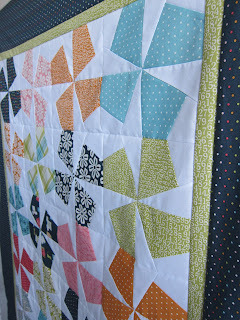 I am really surprised at how much adding the borders changed the feel of the quilt. The darker border fabric really tied the blocks together and grounded the colour scheme. 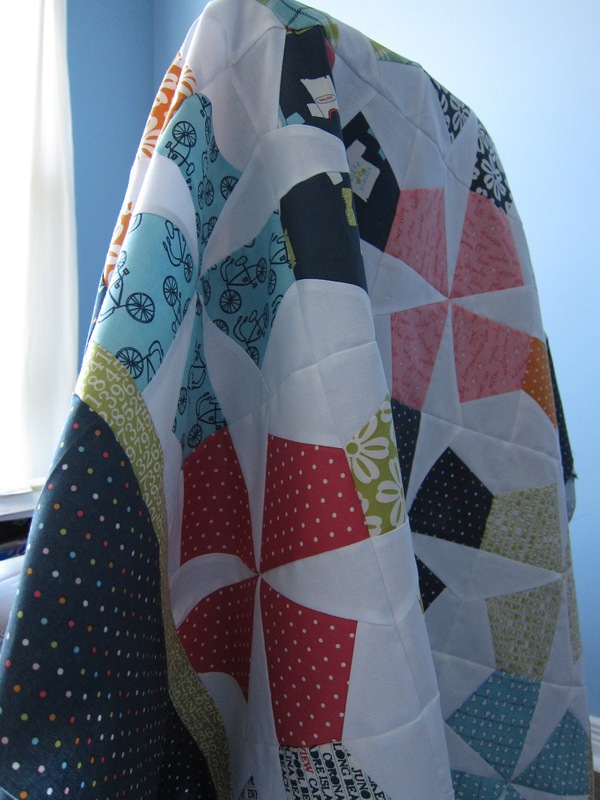 I don't have any batting handy and am still trying to figure out how to actually quilt this one. I have a general concept for the border but am really stuck on how I want to use the quilting to create movement in the "fan blades" (not too sure what else to call them). 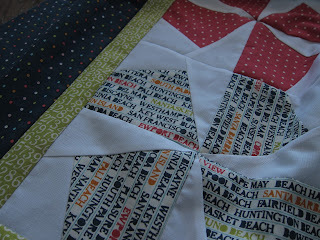 Instead of trying to rush it, I'm thinking would rather stash this lovely top away until inspiration strikes.